Imagine you found a way to earn hundreds of dollars — just for making the same purchases you make every day. Sounds pretty awesome, right? Now you see the appeal of the credit card signup bonus. A good signup bonus can easily be worth hundreds of dollars — and the great bonuses can be worth $1,000 or more in free travel. While the biggest bonuses are going to be best for cardholders with budgets that can support a big spending requirement, you can find credit cards with signup bonuses that can fit into nearly any kind of budget. Although it’s easy to get caught up in the idea of finding the biggest bonus possible, there’s more to a good signup bonus than the number of rewards you’ll receive. Other factors can influence the value of any given signup bonus, including the actual purchase rewards offered by the card. When selecting the top overall signup bonuses, we looked for cards that not only offered high-value bonuses, but also offered useful purchase rewards that provide extra value to meeting the spending requirement, and low fees that won’t negate the value of the bonus or purchase rewards. 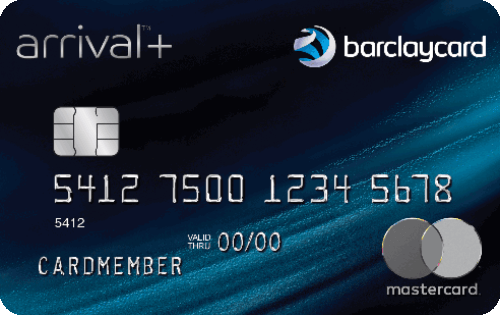 While this card has a remarkable signup bonus — particularly for a cash back card — what makes it really stand out is that it has a spending requirement low enough that the average cardholder can hit the mark, but the card’s 4% cash back categories mean high earnings while working on that requirement. Oh, and did we mention the annual fee is waived for the first year? This card has offered the same size signup bonus for a while now, but that doesn’t diminish its value. The card’s typical bonus can be redeemed through Chase for travel at a rate of 1.25¢ per point that gives it a face value of $750. But, transfer those points to any of Chase’s 10+ travel partners to get twice the value (or more). Plus, this card also waives the annual fee for the first year. The signup bonus for this card has an attainable spending requirement that makes it a good choice for most budgets, and it offers good value even when only used to erase previous travel purchases. You can also transfer the miles you earn to Capital One’s partner airlines, where smart redemption can get you a lot more per-point value. Another waived annual fee adds to the bonus experience. Cash back rewards are often considered to be the simplest form of credit card rewards, as they don’t usually require a lot of work to redeem. Most cash back programs let you redeem your rewards for a credit card statement credit, which means you can use them to cover nearly any type of card purchase. The majority of cash back cards have smaller signup bonuses, but smaller bonuses tend to mean a smaller spending requirement, which makes cash back card bonuses often ideal for consumers with smaller budgets. That said, our top pick offers an uncharacteristically big bundle of cash back. The signup bonus for the Capital One® Savor® Cash Rewards Credit Card not only qualifies it as a best overall pick, but it also earns it the top place in the cash back category. The card’s bonus is almost unheard of in the consumer cash back credit card world, especially with such a reasonable spending requirement. Of course, the icing on the cake is the waived annual fee for the first year, which adds even more value to the signup bonus. When you add in the high cash back rate in categories that most consumers will use almost every day, the card is an easy pick. Honorable Mentions: While cash back bonuses are typically small, having no annual fee makes it more worthwhile. The Wells Fargo Cash Wise Visa® Card has one of the larger bonuses for the spend, but the Discover it® Cash Back has a unique signup bonus structure that could be pretty valuable to cardholders who can maximize the card’s rewards. Versatile credit card points are often the rewards currency of choice for cardholders looking to maximize their earnings. For one thing, many of the most prominent points programs allow you to not only use points for things like cash back or travel through the bank’s portal, but the point can also be transferred to partner airline or hotel loyalty programs. Additionally, many of the largest and most valuable signup bonuses on the market tend to come from points cards, with the average points card offering a 30,000- to 50,000-point bonus. Keep in mind that big bonuses mean big spending requirements and, often, big annual fees. Although the Chase Sapphire Preferred® Card wound up in the best overall picks, it’s the Chase Sapphire Reserve® that wins top pick for points bonuses thanks to the higher redemption rate. Cardholders who redeem their Ultimate Rewards® points for travel through Chase get 1.5¢ per point, giving the usual 50,000-point signup bonus a base $750 value. The thing to watch out for here is the card’s $450 annual fee, which can eat into your bonus. However, users who can take advantage of the $300 travel credit and 3X points per dollar on travel and dining can likely make up that annual fee while meeting the spending requirement. Honorable Mentions: A lot of points cards offer some hefty bonuses — but most of them will also have annual fees. Some links for the American Express® Gold Card offer as much as 50,000 points, and the Citi Prestige® has a regular bonus in the same range. Both cards have transferable points that can get high value when used wisely. Many banks offer in-house travel miles rewards programs that offer a lot of flexibility on top of frequently offering higher-than-average purchase rewards rates. Flexible miles can typically be redeemed toward any travel-related card purchases, eliminating many redemption hurdles like brand restrictions and blackout dates. You can find a number of cards with flexible travel miles that offer large signup bonuses, though the cards with the biggest bonuses will have equally outsized spending requirements. Since miles are redeemed for travel, go for these bonuses when you have travel on the horizon. The miles you earn with this card have a set value of 1¢ per point that gives a 70,000-mile signup bonus a face value of $700. However, the card also offers 5% of your miles back on every redemption, plus the annual fee is waived for the first year, adding more to the value. Now, for a signup bonus this big, you have to expect a big spending requirement, and this card certainly delivers in that regard. On the plus side, the card earns an unlimited 2X miles per dollar on every purchase, so you’ll earn a nice pile of miles as you reach the requirement. Honorable Mentions: Many of the cards in this category provide a decent bonus, but the Capital One® Venture® Rewards Credit Card from our Best Overall picks is an obvious mention. 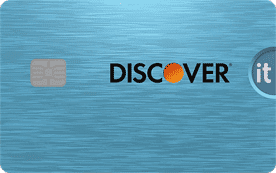 The unique signup bonus of the Discover it® Miles is also worth noting, particularly for anyone who prefers a no-annual-fee card. Signup bonuses are offered by credit card issuers as a way to entice consumers to apply for the card. Cards with annual fees tend to be where the profits are, so while you can find a number of credit cards with good bonuses that will waive the annual fee for the first year, the very best bonuses tend to come from cards that aren’t free to keep. At the same time, the market for cards without annual fees is just as competitive as any other, and you can find some solid signup bonus offers that won’t charge you an annual fee any year. Most no-annual-fee cards earn cash back rewards, but some points and miles cards can also be found — like our top pick below. An unusual find in the no-annual-fee world, Wells Fargo Propel American Express® Card‘s big signup bonus is easily a top pick. The points you earn with this card can be easily converted into a cash back statement credit at a fixed 1¢-per-point rate. The spending requirement is a little high compared to other no-fee cards, but the broad purchase rewards categories make it easy to earn a lot of rewards while meeting the requirement. And, of course, there’s no annual fee — ever. Honorable Mentions: The typical no-fee card will offer a signup bonus in the $150 range, though the Wells Fargo Cash Wise Visa® Card comes in above average. The unique Cash Back Match new cardholder offer of the Discover it® Cash Back also gets a mention. Instead of earning generic miles, credit cards that are co-branded with a specific airline allow you to earn branded frequent flyer miles that can go straight into your existing frequent flyer account. From there, you can use your miles to book free airfare, potentially unlocking significant per-mile value. All of the major — and many of the minor — U.S. airlines offer a co-branded credit card, most of which come with some form of signup bonus. The mid- and top-tier cards tend to offer bonuses large enough to start redeeming for free flights right away, and many co-branded cards include extras perks like free checked bags. 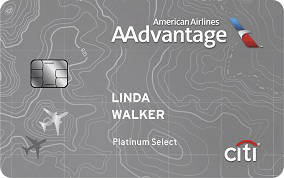 The Citi® / AAdvantage® Platinum Select® World Elite™ Mastercard® has a standard 50,000-mile bonus that can score you four one-way main cabin domestic trips (or if you’re looking for maximum value, most of the way toward a one-way business class trip to Europe). The annual fee for the card is waived the first year, which adds an extra layer of value for new cardholders. Having the card also gets you a free checked bag on domestic flights and preferred boarding, which can improve the experience you have when you redeem your miles. Honorable Mentions: If you have a favorite airline, check out that airline’s card offerings for the best personal value. In general, though, the Amex Gold Delta SkyMiles® Credit Card has a good-sized bonus, and the Alaska Airlines Visa Signature® card has a good bonus with a really nice extra: a companion pass. Frequent travelers know that having a favored hotel brand can make travel better; hotel stays equate to hotel status, and that status can make your stay better every time. But, even if you’re not a regular traveler, you can unlock status and piles of loyalty points with a hotel co-branded credit card. Most major brands have co-branded credit cards, and many of those cards will offer signup bonuses worth at least one or two free nights, but the value of your bonus will obviously vary based on the category of hotel for which you redeem the points. As with most Amex cards, the Hilton Honors Ascend Card signup bonus offer you see can vary based on offer source, but the commonly seen 150,000-point bonus is definitely worth tracking down. Room rates vary with cash prices, but the bonus can get you four nights in a standard 35,000-point room. In addition to the signup bonus, cardholders get Gold Elite status with Hilton, which unlocks a lot of perks, including free breakfast at most properties. Users even get 10 free Priority Pass lounge visits each year, which can help make the trip to your hotel more pleasant. Honorable Mentions: Many of the hotel loyalty programs have multiple cards, including our top pick. 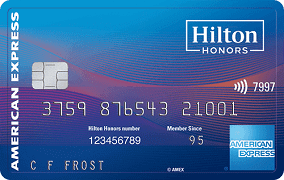 The top-tier Hilton card has a similar signup bonus and perks that will appeal to more frequent travelers, while the no-annual-fee version has a smaller bonus but still provides some good perks. Outside the Hilton family, check out the IHG® Rewards Club Premier Credit Card and the Radisson Rewards Premier Visa Signature® Card for some large bonuses. Student credit cards can be a fantastic tool for establishing and building credit. They have flexible requirements that account for the limited credit of their demographic, while also offering great perks like purchase rewards and low fees — and, yes, the occasional signup bonus. You generally won’t see the massive bonuses of the broader consumer market on a student credit card, but a handful of cards have bonuses worth $100 or more, which isn’t bad for what is basically a starter card. Plus, most student cards don’t have annual fees to eat into the value of the bonus. This card is almost identical to its non-student counterpart, which means it comes with the same Cash Back Match new cardholder bonus. The Cash Back Match is unique to Discover, and it does just what it says: It matches your cash back — all of the cash back you earn in your first cardholder year, to be exact. Earning that cash back is easy, as the card offers 5% cash back bonus categories that rotate each quarter. When you activate your bonus, you’ll earn 5% cash back on up to $1,500 in bonus purchases in categories like gas, groceries, and Amazon.com. Honorable Mentions: Both of Discover’s student cards offer the same Cash Back Match bonus, so if most of your spend is on gas and dining, consider the Discover it® Student chrome. If you prefer straight cash back, the Bank of America® Cash Rewards Credit Card for Students may be a good option. Keeping your personal and business finances separate is important for good business, but the right business credit card can make it a rewarding task. The modern market has cards that earn every type of purchase rewards, from simple cash back to versatile points in many of the most popular programs. Not only can you find business credit cards with fantastic purchase rewards, but the high-value signup bonuses available can add hundreds of dollars to your bottom line. As with consumer cards, however, the largest bonuses will typically have the highest spending requirements, and many will charge annual fees. The standard bonus for this card is one of the largest in the market, and the value is there no matter how you decide to redeem. Cardholders can get 1.25¢ per point when they redeem for travel through the Ultimate Rewards® portal or transfer to Chase’s airline or hotel partners to unlock greater value. The major downside to this bonus is the large spending requirement, but that’s to be expected for such a lucrative bonus. Cardholders who can make the most of the card’s high-rate rewards categories can earn significant points while working toward the requirement. Honorable Mentions: A number of business credit cards have signup bonuses worth mentioning, including our top pick’s cash back sibling, the Ink Business Cash℠ Credit Card. The Business Platinum® from American Express frequently offers high-value bonuses (with equally high requirements and fees). On the other end of the spectrum, the U.S. Bank Business Edge™ Select Rewards Card has a smaller signup bonus but a really accessible spending requirement. To start, it’s important to point out that the first thing you need for a signup bonus is at least good credit. Although you can find the rare card for fair credit that offers a bonus — student cards are an example of this — most cards with signup bonuses will be easiest to get for consumers with credit scores close to and north of the 680 point. Once you’ve been approved for a signup bonus card, the requirements to earn any given signup bonus will vary based on the specific offer. Most bonuses will require meeting a set spending requirement within a certain amount of time, though some will only require a single purchase to earn the bonus. Of the cards with a spending requirement, you’ll find two types both single requirements and tiered requirements. Bonuses with a single spending requirement will offer you a set amount of rewards for meeting one spending requirement. So, you may need to spend $3,000 in the first 90 days to earn a set bonus of 30,000 points. Tiered signup bonuses, on the other hand, will have multiple spending requirements for variable rewards amounts. For example, a tiered bonus might require you to spend $2,000 in the first 60 days to earn 20,000 points, then spend an additional $2,000 in the first 180 days to earn an additional 20,000 points. All of your new card purchases will count toward the spending requirement, but watch out for returns and refunds, as most issuers will only count net new purchases. Other transactions, like balance transfers and cash advances, usually won’t count toward the requirement. So long as you meet the spending requirement within the designated time period, you should see your signup bonus within a few billing cycles. The only exception would be in cases in which you are not actually eligible for the signup bonus. For instance, many issuers have limits on how frequently you can earn a signup bonus for individual cards, while other issuers may limit how often you can earn a bonus for an entire card family. 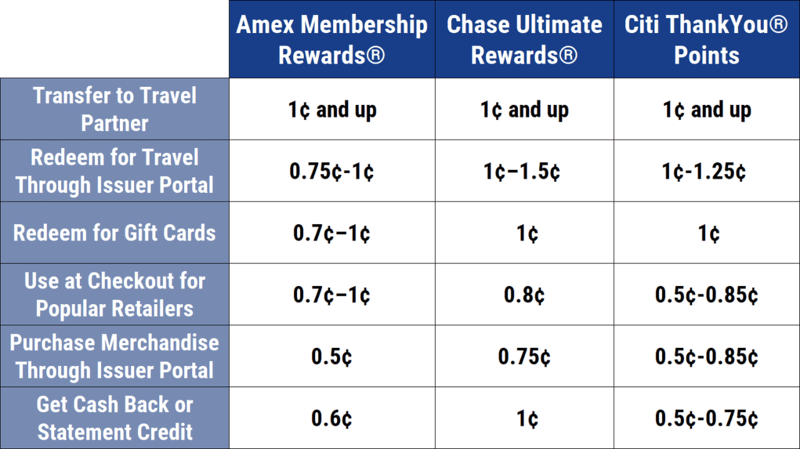 For example, American Express limits you to one bonus per card per lifetime, while Chase limits you to one bonus per card family per 24 months. One thing to note is that signup bonuses (and their requirements) change regularly, and the same card can offer various types of bonuses throughout the year. In fact, some cards — looking at you, Amex — can have different bonuses depending on the link and/or browser that you use. One of the best things about credit card rewards and signup bonuses is that you can pick and choose according to your spending habits and the type of rewards you’re most likely to use. If you want rewards that are simple, you can go with fee-free cash back cards and bonuses; if you want to maximize your earnings, big-bonus points card can be quite lucrative. The downside to this level of customization is that the value of a given signup bonus will depend on how you value the rewards, according to your lifestyle and spending habits. For example, it doesn’t matter how many airline miles you can earn from the Delta credit card if you never fly Delta airlines. Rewards programs with flat-rate redemption values are easy to compare, as you’ll already know what you’ll get. Cash back, for instance, is usually worth its face value, so a $300 cash back signup bonus will be worth $300 in statement credit when redeemed. Some points and miles programs are equally easy to value, as they’ll have set redemption rates, but others will have different values based on how they’re redeemed. For example, you can redeem Ultimate Rewards® points for a flat rate through the Chase travel portal, but you can also transfer those points to Chase’s travel partners, where the value you get will depend on the specific flight or hotel room you book. If you want to get down to the particulars and do the math, you can figure out a specific value for each type of points or miles that you’re considering, which can make for much easier side-by-side comparisons. A good rule of thumb is to use the value that represents how much you would consider fair to pay if you were to buy a given currency. If you’d rather skip the calculations, several travel and credit card websites and blogs — including ThePointsGuy and One Mile at a Time — offer their own valuations for credit card rewards. Choose a source that uses a methodology that matches how you’ll most likely use your rewards for the best fit. However you come up with a value for the signup bonus, be sure to include all of the variables in your calculations. Don’t forget the annual fee, for instance, as well as any non-rewards extras that can add extra value, like purchase credits or introductory interest rate deals. And, of course, don’t bite off more of a spending requirement than you can chew. A credit card with a giant signup bonus is only valuable to you if you can meet the spending requirement without taking on more debt than you can easily repay. Few signup bonuses are worth the high interest fees charged by most cards. Is a Big Signup Bonus Worth an Annual Fee? An important question you’ll likely have to ask yourself as you explore signup bonus options is whether you should go after a card that has a big bonus — but also a huge annual fee (say, perhaps, like the Amex Platinum®). This can be especially important when evaluating a family of cards, like the Marriott or Hilton trios. Overall, deciding whether the annual fee is worth it for a large bonus will come down to a combination of factors, starting with how you personally value that bonus. As we noted in the section above, how you’ll actually use your rewards will influence their real value to you. If the signup bonus will be worth way more than the annual fee, it could be an easy decision. If you can get a similar bonus from a card with a smaller annual fee, then you may want to reconsider your selection. But, while the bonus is important, what makes a card with a large annual fee worthwhile in many cases is usually more than the signup bonus; it frequently comes down to the purchase rewards and secondary benefits. Does the card offer regular credits for things you’ll use, like an airline fee credit or travel credit? Does the card offer elite status with a program you frequent? If the answer is “yes” to these questions, then you may get good value out of the card with the big annual fee well beyond its signup bonus. Indeed, at the point where the card is already a good fit for your lifestyle, the signup bonus is, well, just a bonus. 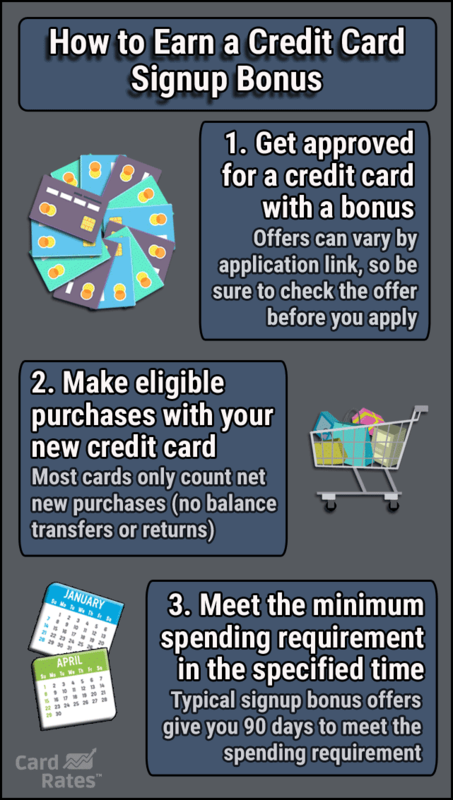 Although we’ve sprinkled these little cautions throughout the article, here are a few of the considerations you should make before you apply for a new signup bonus credit card (or, really, most any credit card). Check your credit before you start looking: The majority of cards with signup bonuses will be for consumers with at least good credit. Save yourself some hassle (and hard inquiries) by checking your credit scores before you apply so you can narrow your focus. Make sure you can meet the spending requirement, naturally: The big signup bonuses can be tempting, but don’t make purchases you can’t afford to pay off right away in an attempt to meet a high spending requirement. Credit cards have high interest rates that can add hundreds of dollars to a $3,000 spending requirement you can’t pay off. Do the math before you apply: The value of any given signup bonus will depend as much on how you use the rewards as the size of the bonus; crunch the numbers to determine the real value of the bonus before you apply for a new card. Compare multiple offers: Almost all rewards cards these days come with some sort of signup bonus, so don’t just select the first offer you see. Compare what’s available to be sure you find not only a good bonus, but a good credit card overall. Pay off your purchases quickly: Although you’ll undoubtedly be putting a lot of spend on your card as you earn the bonus, think about making multiple card payments to keep your reported balance low. This will help keep your utilization rate from spiking, which could cause your credit score to drop. In addition to the above considerations, of course, you should always maintain responsible credit habits, including being sure to always pay your credit card on time (and, ideally, in full) each month. Keeping your credit in top shape will help ensure you stay eligible for future signup bonuses. A good credit card — one that matches your lifestyle and spending habits — can be a hugely valuable tool, not only for building credit but also for earning rewards. But, a good card can be made even better with the addition of a lucrative signup bonus. As great as signup bonuses can be, however, not every bonus is worth pursuing, whether due to the bonus having limited value — overall, or just to you — as well as your own credit or budgetary limitations. Don’t allow a big bonus to blind you to the potential consequences of spending thousands of dollars on what is probably a high-interest card in just a few months.